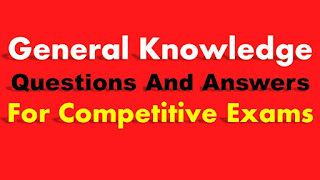 General Knowledge Questions and Answers for Competitive Exams: HI Viewers are you searching for the frequently asked general knowledge questions in competitive exams conducted by the state and central government recruitment examinations. This post topic is GK Bits asked in the different examinations like as Railway, SSC CGL, SSC CHSL, NTPC, SSC CPO, and Staff Selection Commission JE Exams. All GK previous year asked bits in exams. Below we attached the links for the Important GK Questions for Competitive Exams PDF. At Present Now a days every competitive exams General Knowledge is the Most Important Topic. In the GK questions asked in the many sub topics like as General Science, Indian History, Indian Geography, Polity, Economy, Current Affairs, and Some miscellaneous topics. 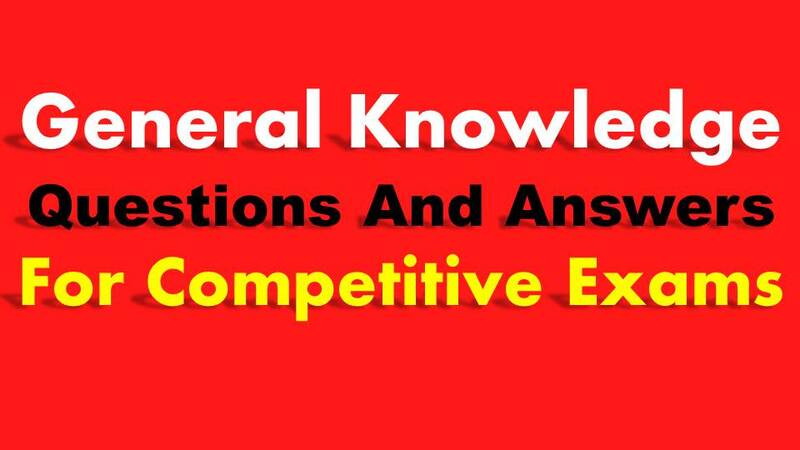 Previous year General knowledge questions and answers for competitive exams pdf 2017, 2016, 2015, 2014, 2013, 2012. Basically so many numbers of candidate’s are having a doughty which type of questions are asked in the competitive exams. Below we are given the some of the examples of frequently asked GK Questions in Competitive Exams. 1. Who influenced Mahadev Govind Ranade to establish Prarthana Samaj in Bombay? 2. Who among the following had joined Akbar’s Din-i-Ilahi? 3. The term green revolution has been used to indicate higher production through? 4. The national bank for agriculture and rural development (NABARD) was established in the year? 9. The first governor general of India was appointed in? 10. First decisive military success of English east India company in India is marked by?